2018 has ended and at our holiday rental agency in Pollensa we have decided to take a look back at the last 12 months and see how the year has gone. Taking a look at the moments that went well and on the other hand, those that didn’t go so well, helps us to move forward and continue to grow in the north of Mallorca. Would you like to know how our 2018 was? At Pollentia Rentals, holiday rental agency in Pollensa, we will be telling you all about it in this article. An online presence for a company like ours is fundamental for offering a catalogue of quality properties and positioning the properties of the owners who work with us. 2018 has been the first full year that we have had a website since we launched it in 2017. During this time we have reached more than 28,500 sessions since launching. This data shows no more and no less than an increase of 110% in comparison to 2017, which roughly translates to a 50% increase in the months between May and December. If there are sessions open, there are users. In this case we are talking about almost 130% more users during this period of time, which suggest a 70% increase in the months between May and December. We are constantly working to have our online tools completely up to date, we have analysed the traffic which we have had on our website in the last year. Surprisingly we have found that our organic and direct traffic has grown by 140% this year in respect to last and has grown by 58% when you compare the months between May and December. In total, we have calculated that during 2018 there have been more than 8500 each month. We have also seen a great increase in our social media sites since opening. We are currently on Facebook, Instagram and Youtube and in regards to Facebook, we reach around 2300 people each month. The most popular categories on our website have been villas in Pollensa and Puerto Pollensa, apartments in Mallorca and our property Rock Villa. 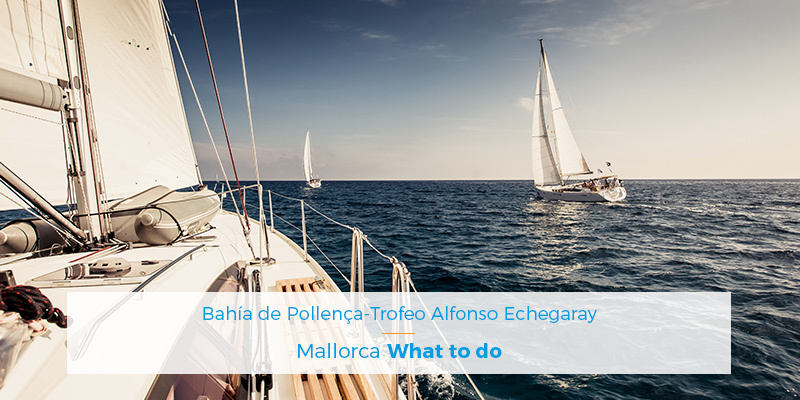 Collecting data from our website allows us to follow certain trends, in example in Germany the main search categories are luxury properties to rent in Mallorca. Every month we receive a target audience visiting our site from all over Europe: UK, Spain, Germany, France, Switzerland, Sweden and Holland are reoccurring examples. We want to point out the impact which Rock Villa, our exclusive luxury villa to rent in Pollensa has had. This project has become an icon in the north of Mallorca. Dozens of clients have been able to enjoy this never before seen villa which is built in to the rock face of the Pollensa mountainside, providing views of Pollensa, Alcúdia and Puerto Pollensa. It is one of the stars of 2018. We have also seen a healthy increase in business in the last year. We have increased our reserved weeks from 73, in 2017, to 215 in 2018, which shows an increase of 300%. Many of the clients who we have worked with in the past year have booked with us more than once. This make us very happy, as our client base trusts us and our work. Our sister company also has something to celebrate. Pollentia Properties, real estate agency in Pollensa, has reached a quantity of sales in the region of 20,000,000 euros and has successfully carried out the sales of properties such as a historic vineyard in Alaró and the investment project in Mallorca, Golf Pollensa Residencial. 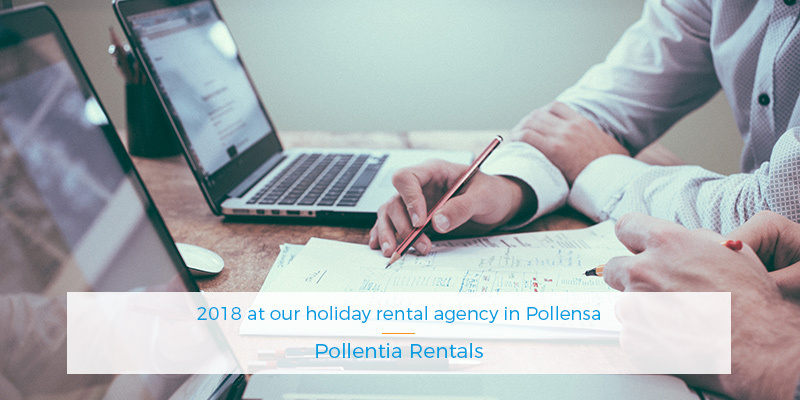 At Pollentia Rentals, holiday rental agency in Pollensa, we want to thank from the bottom of our hearts all of those clients who have worked with us this past year, those who have re-booked with us and the property owners who have trusted in us to turn a profit from their properties. 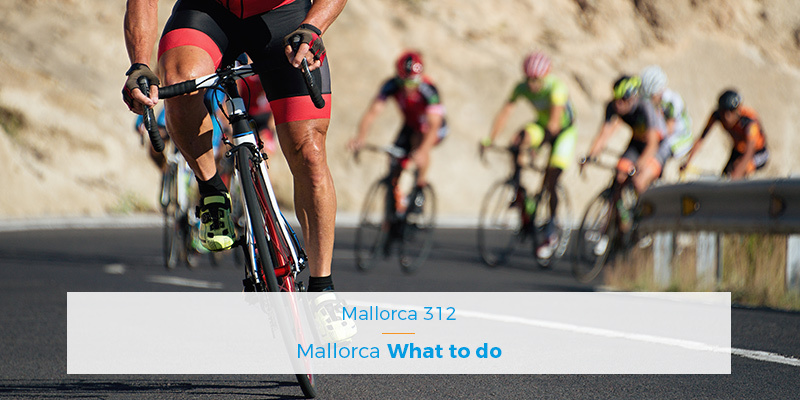 You have made us in to a leading holiday rental agency in the north of Mallorca. Also, we want to announce that during 2019 we will be adding 12 new holiday villas for you to enjoy in this paradise called Mallorca.